Heat oven to 375°F. If using dough sheet, unroll dough on work surface. Press into 12x9-inch rectangle. 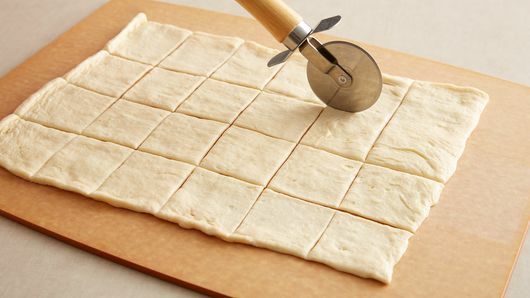 If using crescent rolls, unroll dough into 1 large rectangle on work surface. Press into 12x9-inch rectangle, firmly pressing perforations to seal. Cut into 6 rows by 4 rows to make 24 squares. 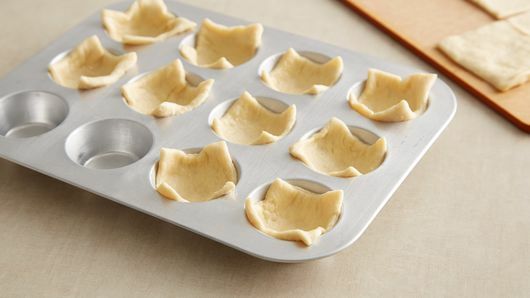 Gently press squares into 24 ungreased mini muffin cups (dough will not completely cover inside of cup; do not press too much). Bake 6 to 8 minutes or until edges are golden brown. Cool completely in pans, about 10 minutes. Remove from pans. Meanwhile, in medium bowl, beat milk and pudding mix with wire whisk until mixture begins to thicken. 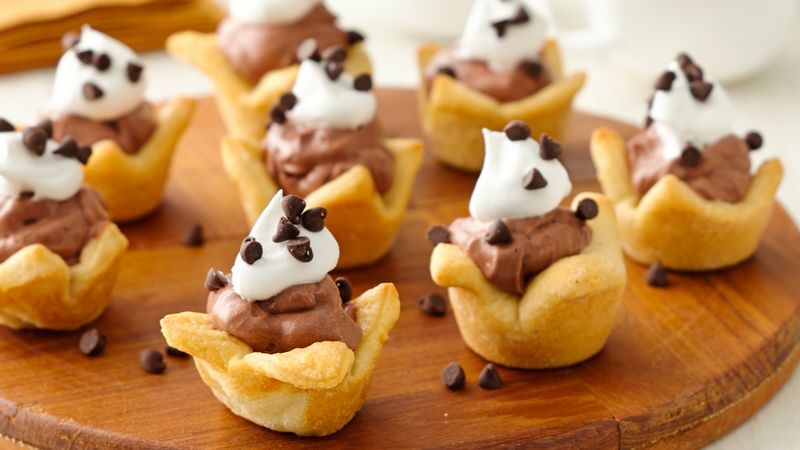 Fold in 1 cup whipped topping. 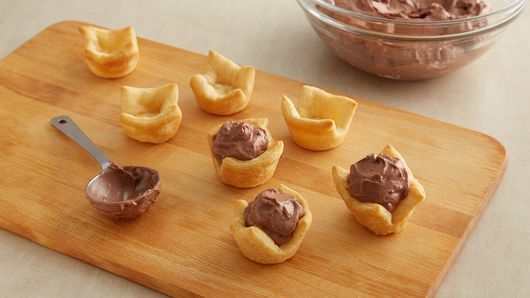 Fill each cooled cup with about 1 tablespoon pudding mixture. Spoon 1/2 cup whipped topping into sandwich-size resealable food-storage plastic bag; seal bag. 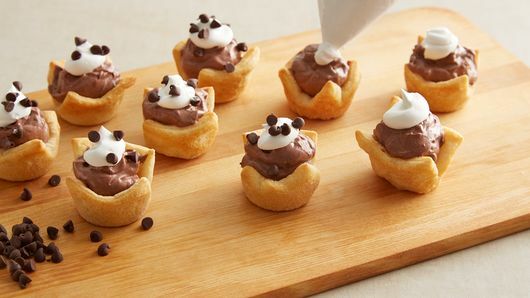 Cut tip from 1 bottom corner of bag; squeeze topping onto tarts, and sprinkle each with chocolate chips. Store in refrigerator. You can make the crescent tarts up to 6 hours ahead and fill them up to 4 hours before serving. Store covered in refrigerator. For creamy lemon tarts, try substituting lemon instant pudding and pie filling mix for the chocolate. Just omit the chocolate chips, and garnish with a little grated lemon peel.